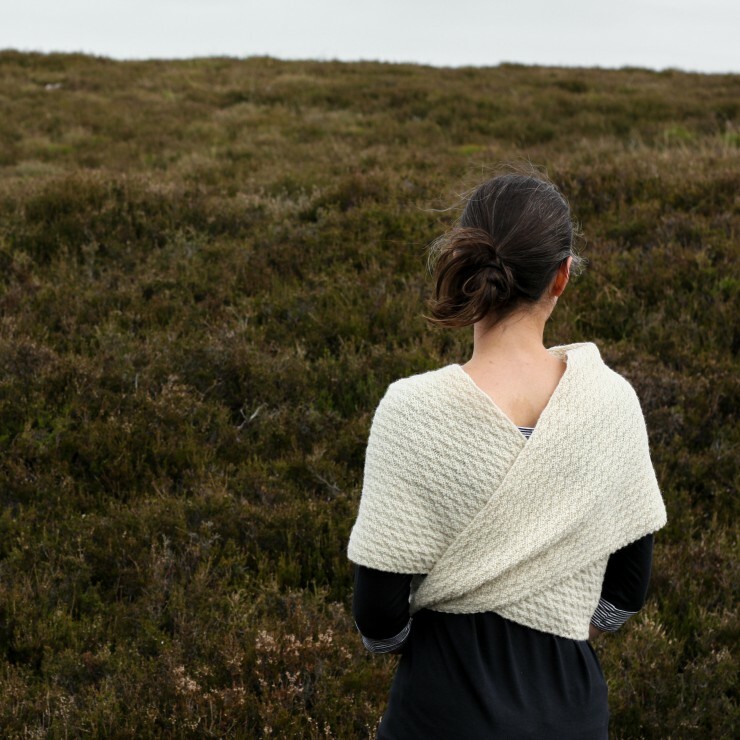 The beautiful, cosy and stylish Comfort Shawl was designed by Sarah Hazell. Sarah is a very talented (and lovely too) designer with a vast amount of experience. So when she suggested working with my yarn I was bowled over and followed up her offer pretty quickly! 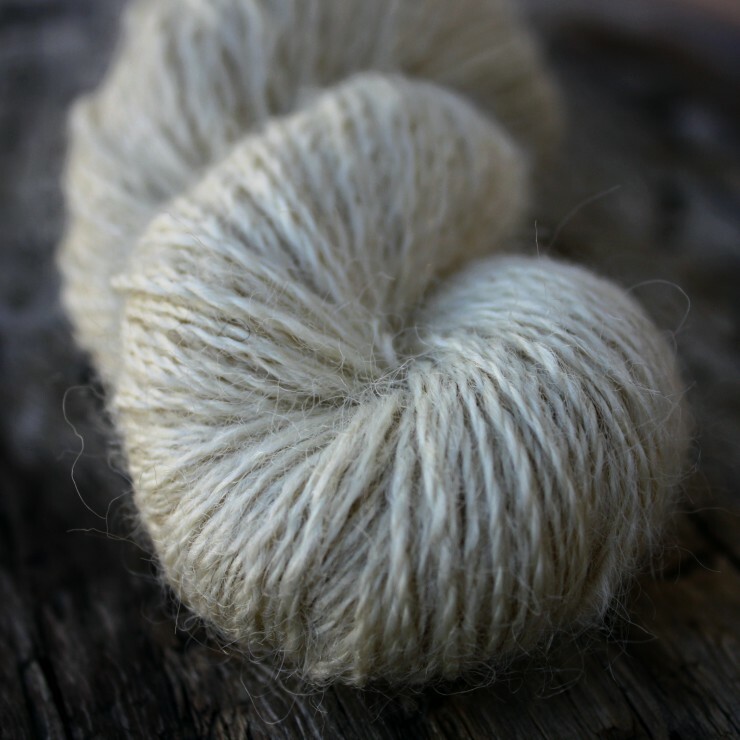 After swatching with Batch Number 2’s Shetland, Shetland~Cheviot Blend and Cheviot, Sarah decided that she’d like to work with the Shetland~Cheviot Blend. 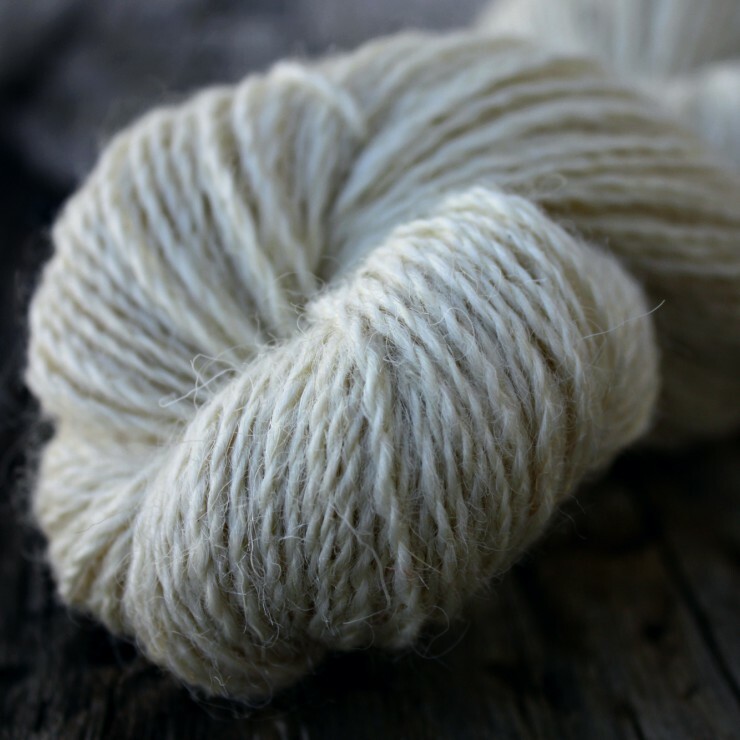 This blend brings out the best of the two different wool characteristics; it gains softness and a slight lustre from the Shetland plus strength and bounce from the Cheviot (the other yarns are lovely too, of course, each with their own special characteristics!). 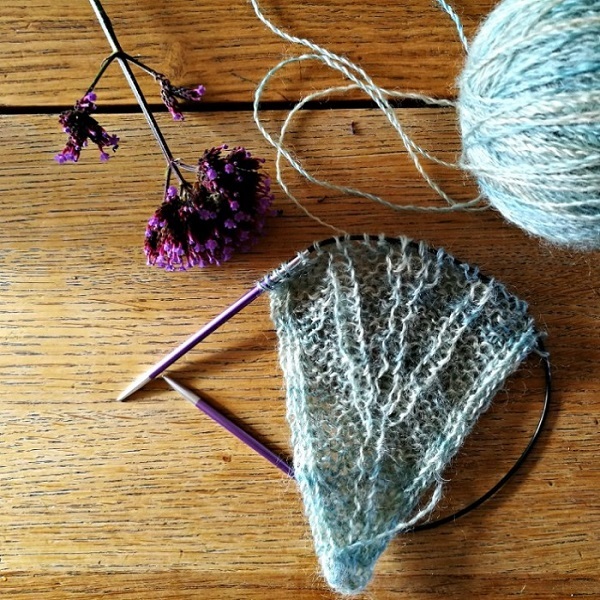 I knew that Sarah had a textured shawl in mind and although I did see a couple of in-progress sneak peaks I wasn’t prepared for how lovely this shawl would be. 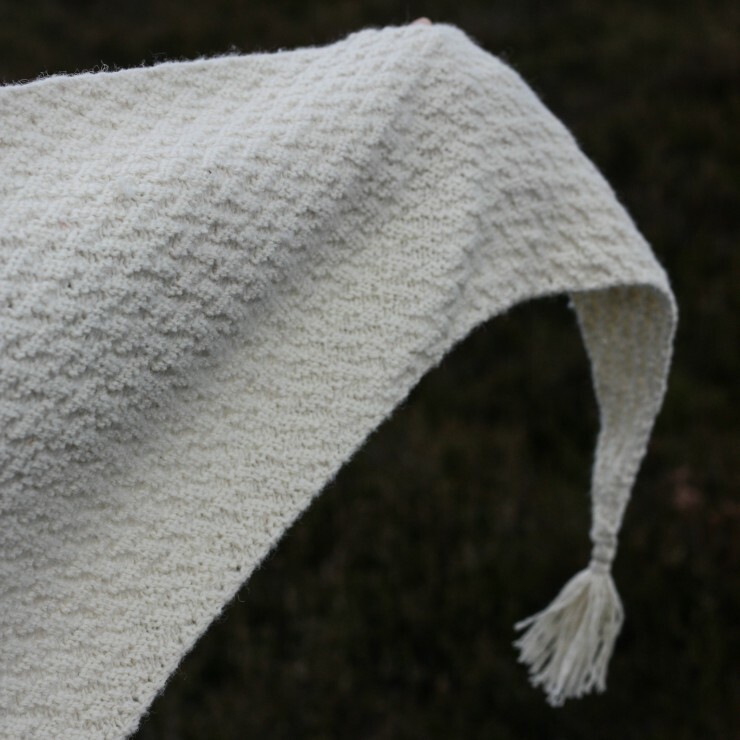 It is simple yet detailed, soft and cosy yet striking – I can’t believe how lucky I am to have had such magic worked in my yarn! 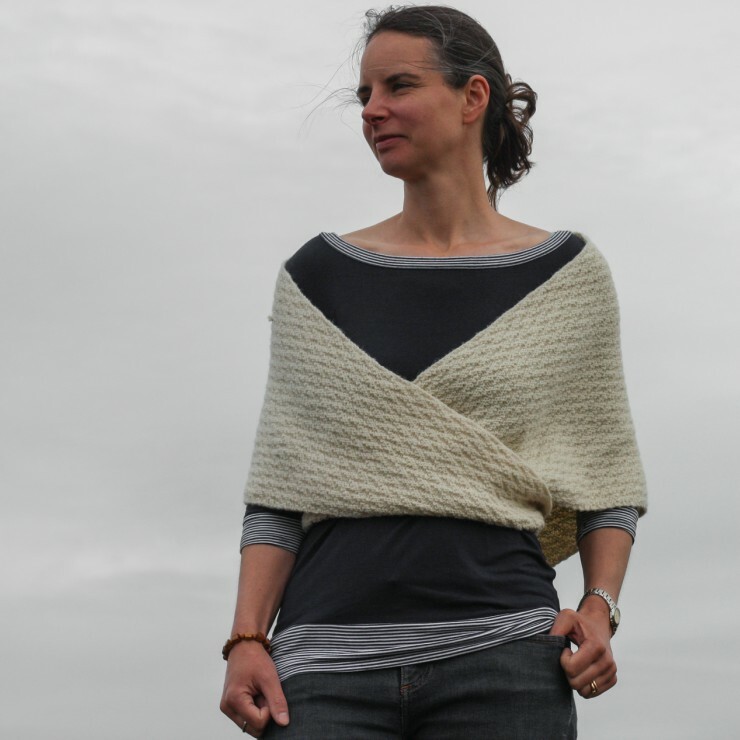 The Comfort Shawl is completely reversible and is an easy meditative knit. 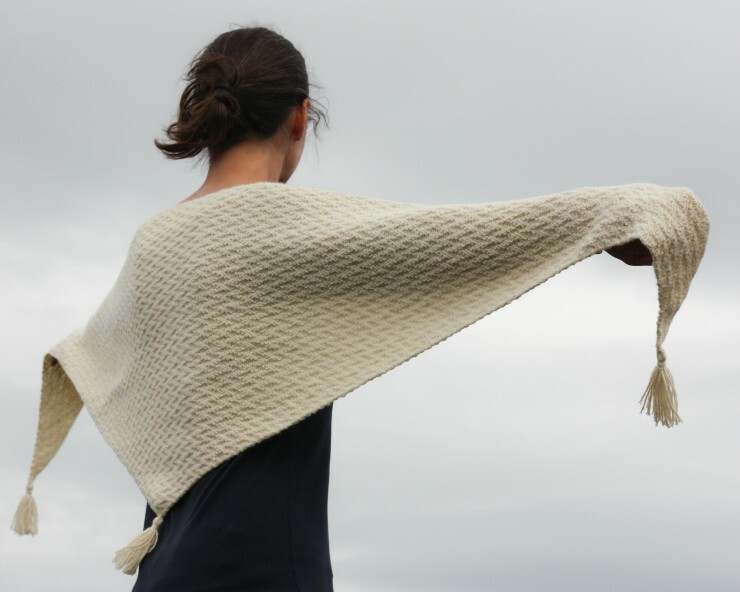 It is a long and shallow design which is cast on from the top edge and decreases each row……….very rewarding as the knitting speeds up the further you go on! 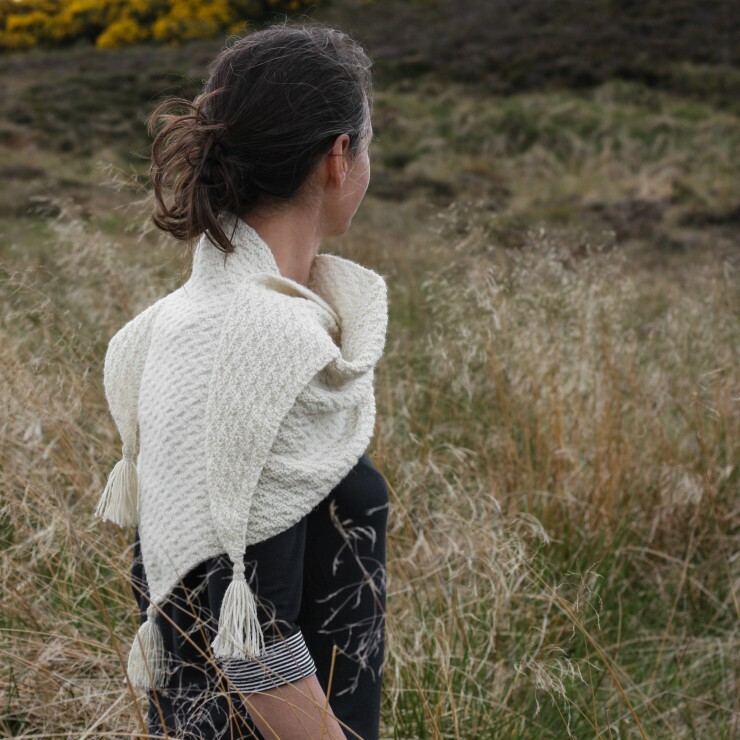 The Comfort Shawl is beautifully sized for wrapping cosily around your neck or can be worn in a more draped fashion for a bold and dramatic effect. The shawl measures around 200cm (79 in) along the top edge and is approximately 55cm (22 in) deep excluding the tassels. 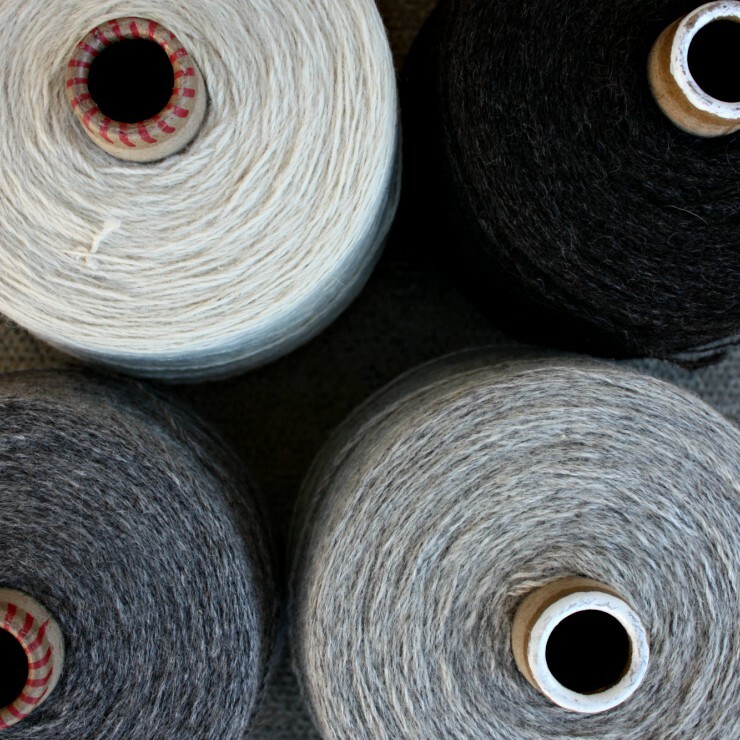 It uses 330g of Black Isle Yarns Shetland~Cheviot Blend, beautifully semi-worsted spun at DK weight by The Border Mill. 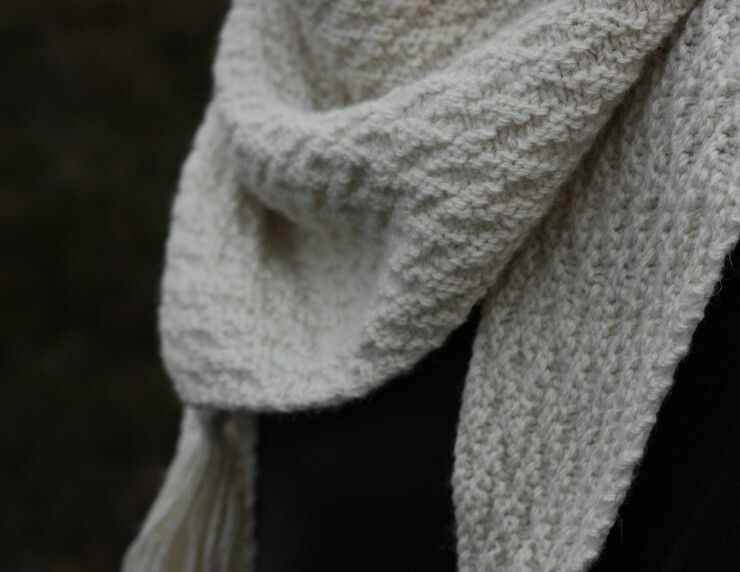 Each kit will include 360g of yarn plus a paper copy of the pattern. Kits will go on sale tomorrow (Wednesday) night at 7pm UK time. There’s only a few kits left, if you’d like to snap one up before they are all gone you can find them here. As you probably know by now I really love designing and sewing quilts. 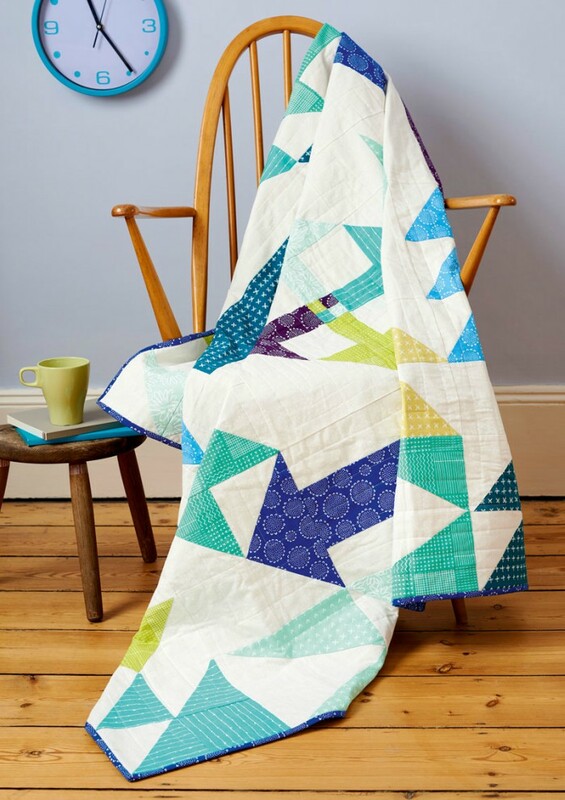 I’m very lucky that Love Patchwork and Quilting Magazine often publish them too – my latest submission was the All Around Arrows Quilt. I had such fun making this one………but still haven’t decided which child it should be given to! It is made up of simple quilt blocks combined to create a variety of arrow shapes which chase each other around the quilt. The fabrics and colours are some of my favourites – all from Robert Kaufman in Karen Lewis Textiles’ Blueberry Park collection.